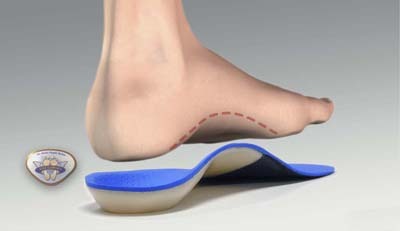 Solid Ankle Foot Orthosis – Molded from light weight flexible plastic this base orthoses is extremely versatile for many lower extremity applications. Children in need of stabilization without articulation benefit from this low profile designed AFO. Oklahoma Joint with Plantar Flexion Stop – Molded from durable plastic and hinges, this AFO design can hold up to the wear of those in need of dorsiflexion restriction. Flexible Ankle Foot Orthosis – A custom and comfortable fit is necessary for patients with the most severe lower extremity deformities. These AFO’s have been designed with this patient in mind. Footwear restrictions aside these AFO’s can improve foot rest & wheelchair positioning as well as reduce high pressure areas while in bed. Artistic Designs – Creative patterns and color are made available to our patients. We strongly believe our artfully finished orthoses with custom patterns will increase our patients desire to use their newly fitted orthoses. More Than Just AFO’s – We also specialize in Knee Ankle Foot Orthosis, Hip Abduction Orthosis and Hip Knee Ankle Foot Orthosis too. Protect and assist week muscles as well as substitute for paralyzed muscles. Facilitate strengthening and re-education of week muscles. Support body segments severely affected by tone and spasticity. Protect, support or realign a painful body part secondary to trauma or orthopedic complications. Stabilize and position post or pre-surgical body parts to promote healing. Prevent or correct deformities such as contracture or excessive ROM.